A confident outlook is helped by a beautiful smile. Dr. Chavez has many tools to fix just about any issue and create a beautiful, natural-looking smile. We provide comprehensive, full-service dental care in the comfort of one office. We offer cleanings and periodontal treatment, cosmetic dentistry, including porcelain veneers and teeth whitening, one-visit crowns and bridges, dental implants,including bone grafting if needed, full-mouth reconstruction, tooth extractions, dentures, one-visit root canals, Invisalign® clear aligner therapy and children’s dentistry. In addition to his extensive training and experience as a general dentist, Dr. Chavez is highly skilled and experienced in cosmetic dentistry, implant dentistry and full-mouth reconstruction. Dr. Chavez was named as one of America’s Top Dentists by the Consumers’ Research Council of America in 2009, 2010 and 2014. In 2016 he was listed among America’s Best Dentists by the National Consumer Advisory Board. 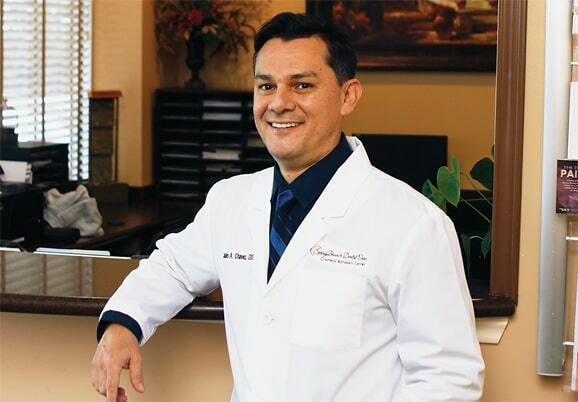 Dr. Chavez and our friendly staff ensure patients feel at ease and offer many comfort amenities to make your visits as comfortable and relaxing as possible. Having healthy, attractive teeth is vital to regaining chewing power, improving your smile and boosting confidence. 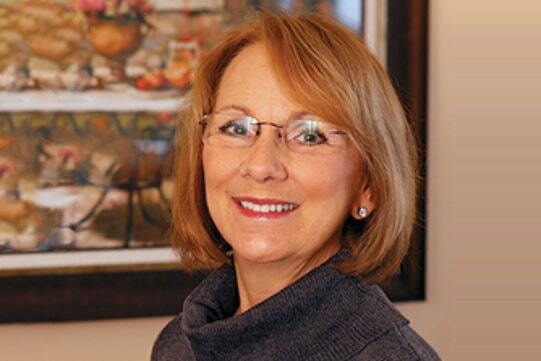 Dr Chavez is highly skilled at providing smile makeovers and placing aesthetic and durable dental implants. 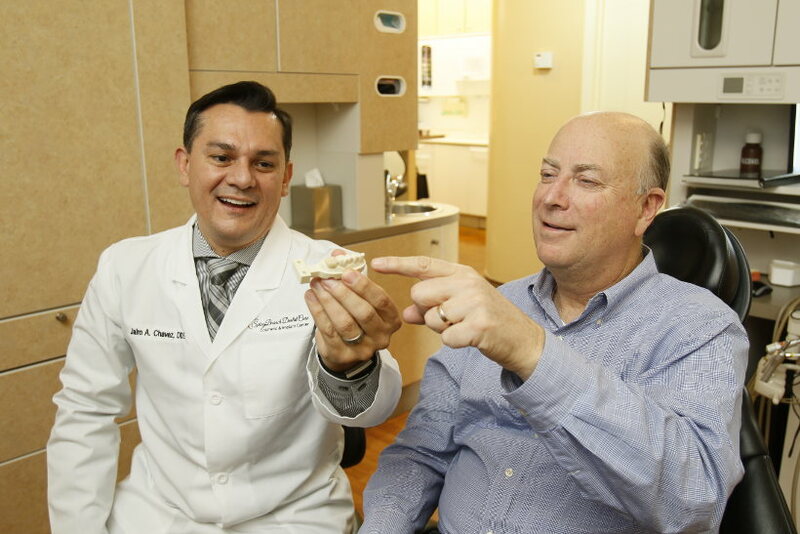 Dr. Chavez provides full-mouth reconstruction and can replace teeth with snap-in implant-supported dentures or New Teeth in One Day. Snap-in dentures are lifelike removable implant-supported dentures that stop the dentures from slipping and aid in chewing. With Teeth in One Day, Dr. Chavez uses four specially angled, long implants to permanently fix in a denture. This option is the closest to having real teeth. The new teeth have no upper palate and no sides. They are very lifelike in appearance and feel and provide nearly 100 percent chewing power. 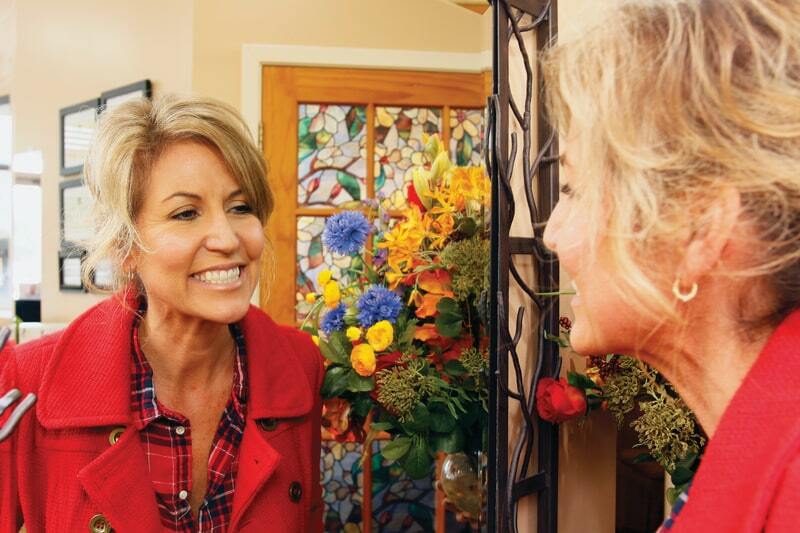 You don’t need to go anywhere else to get all the work you need to have new teeth and a new smile. Dr. Chavez can do the entire implant procedure in his office. Dr. Chavez and our staff are known for being friendly and keeping our patients comfortable and out of pain during their visits. Dr. Chavez takes the time to listen to what you have to say, explain your treatment options and answer any of your questions. We have many ways to make your treatment gentle and comfortable. We provide headphones and blankets to help you relax. You can enjoy cookies and a selection of beverages in the waiting area. Our use of advanced technology helps make your treatment efficient and minimally invasive. We use advanced technology to be able to provide a wide range of procedures and to make them minimally invasive, accurate and efficient—meaning you spend less time in the chair. Dr. Chavez uses digital X-rays, which emit 80% less radiation than traditional X-rays. 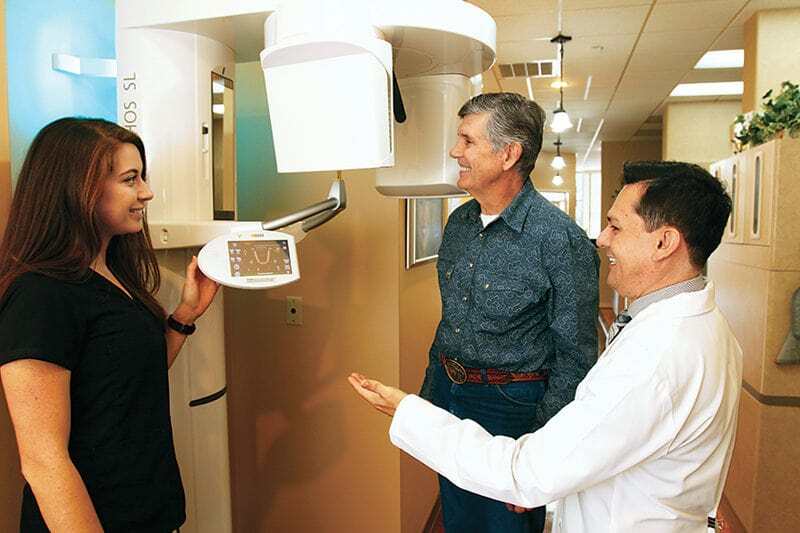 Panoramic X-rays (pictured left) and intraoral and extraoral cameras provide Dr. Chavez with complete, high-resolution images of the inside and outside of your mouth. We use soft-tissue lasers to make gum treatment gentler and faster and to speed up healing. Dr. Chavez uses a device called The Wand® to make injections unnoticeable. For goop-free impressions and precise impressions, Dr. Chavez uses digital scanners. Using the CEREC (CEramic REConstruction) system, Dr. Chavez can create high-quality crowns and bridges in a single visit, which means you will not need a temporary restoration or a second visit. Dr. Chavez designs the crown or bridge on the CEREC 3D design unit and then mills them out of a single block of strong, lifelike porcelain making them durable and resistant to cracks or fissures. 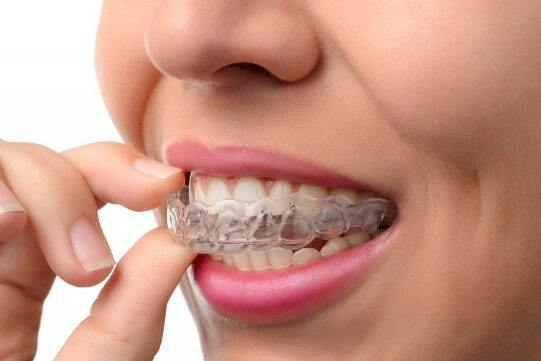 Dr. Chavez will custom-tint your crown or bridge so that it blends in perfectly with your natural teeth as well as adjusting the restoration to ensure a comfortable fit and proper bite. 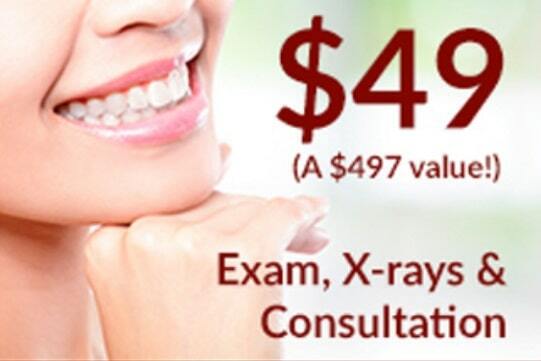 Call (830) 201-3330 or click here to schedule a consultation with Dr. Chavez. “I have been coming here for years. Dr. Chavez and his staff have always been professional, yet friendly. They truly care.